Detailed species training or more light-hearted ‘fish identification quizzes help to increase your teams knowledge and understanding of fish. How to Fillet a Hake (Round Fish). 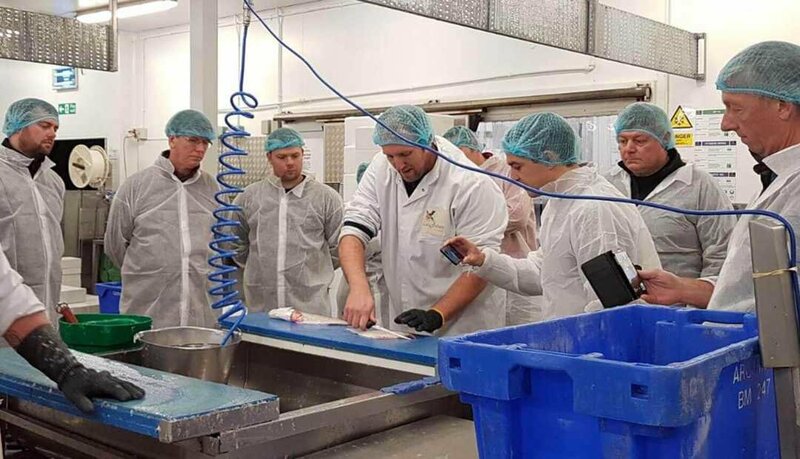 The majority of our businesses are near to fish auctions where we are able to arrange visits for our customers to experience the early morning markets and how the fish is bought each day. 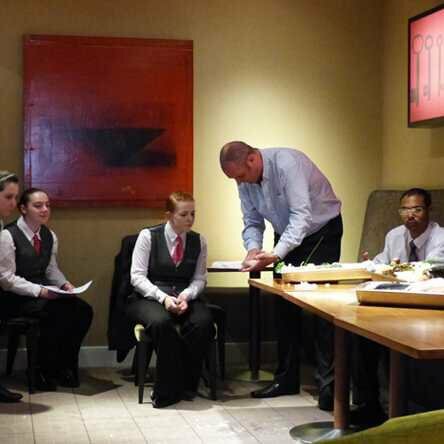 Our most popular course, ‘Chef’s Fish Skills School’, is open to chefs of all levels, from Commis to Head Chef and also to front of house staff. How to Butterfly Fillet a Sardine. This fish preparation course is free of charge to Direct Seafoods customers. Difference Between Gross and Net Weight. – 4.30am: Meet at local fish market*. Breakfast provided, followed by a tour of the market and species identification. – 6.00am: Depart market for local fishmonger business. Inductions, followed by provision of protective clothing before entering the fish processing area. – Tour of the local fishmonger premises with preparation demonstrations given by our skilled fishmongers. Please contact your local Direct Seafoods depot for further information or to book onto a Chef’s Fish Skills School course. How to Canoe Fillet a Sea Bass. How to Fillet a John Dory. How to V-Pin a Mackerel. How to Clean a Squid. View our full collection by visiting our YouTube channel.